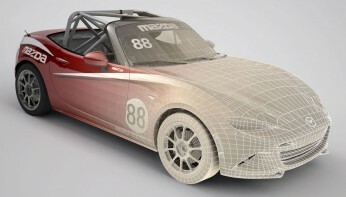 Realistic driving dynamics are sourced via accurate masses and dimensions for real vehicle components, directly from CAD data, via three-dimensional laser scanning, and by physical disassembly of vehicles, resulting in a truly authentic racing experience. Real-world car damage affects handling characteristics and steering alignment. Most arcade or online racing games, in addition to the handful of standalone software packages categorized as racing simulations, have progressed to the point where race cars look real enough; but the question then becomes, do they offer the experience of actual racing when the driver gets behind the wheel? Realistic driving dynamics begin with accurate data. 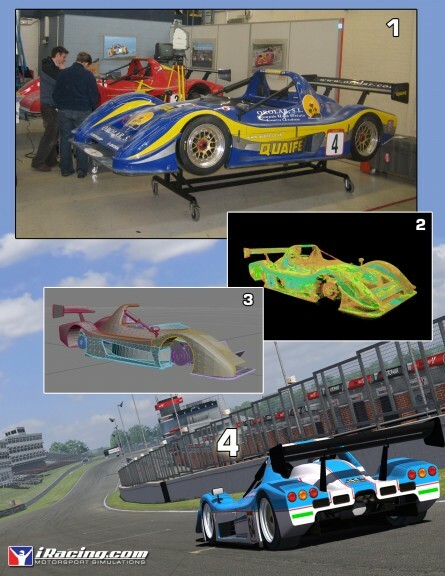 That is why iRacing.com works closely with major auto manufacturers and race car constructors to gather exact masses and dimensions for real vehicle components, whether directly from CAD data, via three-dimensional laser scanning, or even by physically disassembling a particular vehicle in order to weigh and measure individual components. A real race car is not just a collection of high-performance parts any more than an intense racing simulation experience is derived from a collection of data points. Both elements are highly active and incredibly dynamic. Buoyed by iRacing.com’s proprietary physics engine and tire modeling systems, these individual components combine and morph to create something that is no longer a mere virtual representation of a stock car, a formula car or sports car, but instead, feels as real as the experience possibly can without burning actual race fuel. A critical difference between past products and the hyper-accuracy achieved by iRacing.com is the level of the sophistication within its physics engine. A physics engine is a complex system of high-speed mathematical functions that replicate and deliver dynamic forces using data-driven calculations, thereby leading to a series of instantaneous dynamic actions and reactions. Consequently, iRacing’s virtual world leverages the same physical dynamics and that drivers experience in the real world. 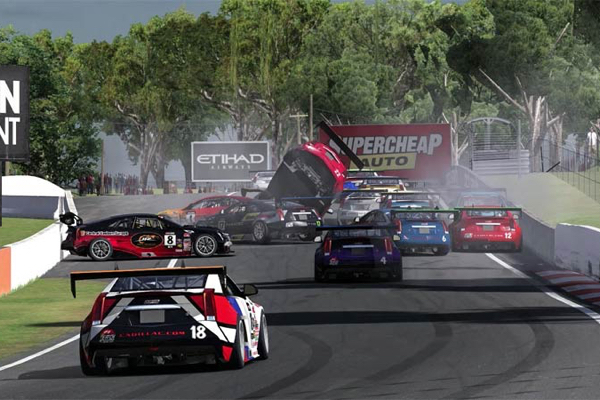 With more than twenty successful racing simulation releases to its credit, iRacing’s Dave Kaemmer and his team are among the world’s leading experts in the mapping of multi-body systems, and the direct calculation of forces and consequent dynamic effects on motion. Kaemmer’s relentless search for accuracy has led to the creation of iRacing’s proprietary tire model that replicates tire forces over a wide range of speeds and loads, adding an important dimension to the accuracy and realization of the iRacing experience.